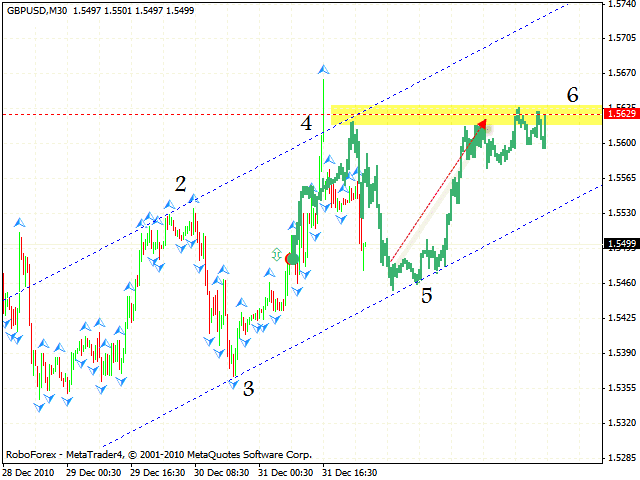 HomeFor ClientsAnalyticsForex Analysis & ForecastsForex Technical analysis and forecastsForex Technical Analysis 2011/01/03. EUR/USD, GBP/USD, USD/CHF Forecast FX. Forex Technical Analysis 2011/01/03. EUR/USD, GBP/USD, USD/CHF Forecast FX. 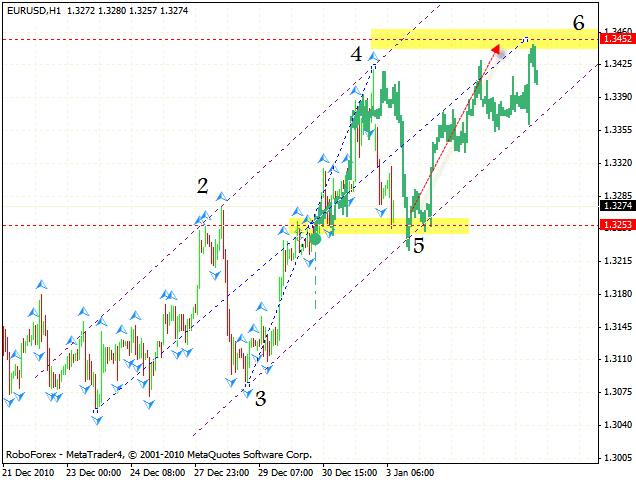 At the moment we can see the formation of the rising pattern with the target in the area of 1.3452. According to the eurusd forecast one can consider buying the EUR/USD currency pair at current price with the stop below 1.3220. If the price breaks the channel and is fixed below its lower border, one is recommended to close long positions. As it is seen from the gbpusd forecast the price structure also indicates that it will continue moving up with the target in the area of 1.5629. One can consider buying the pair when the price tests the channel’s lower border. The stop must be below 1.5445. If the price falls below the channel’s border, this case scenario will be cancelled. 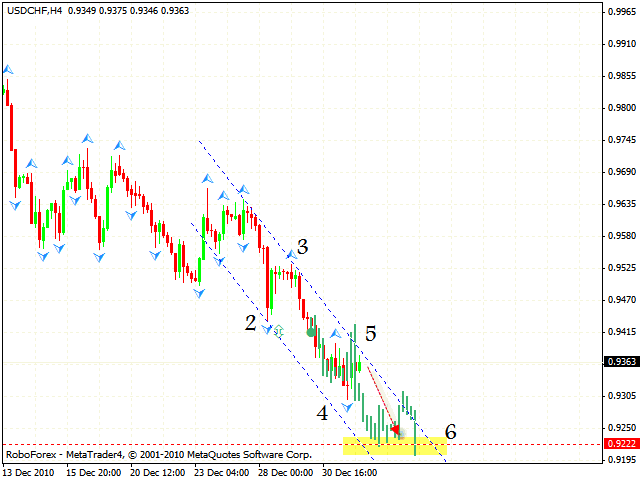 According to the forex forecast usd chf franc keeps falling down. By the moment the situation hasn’t changed a bit, one should consider selling the USD/CHF currency pair with the target in the area of 0.9222. The stop must be above 0.9415. If the price breaks the descending channel, one is recommended to stop selling the pair.